Product prices and availability are accurate as of 2019-04-21 16:35:35 EDT and are subject to change. Any price and availability information displayed on http://www.amazon.com/ at the time of purchase will apply to the purchase of this product. 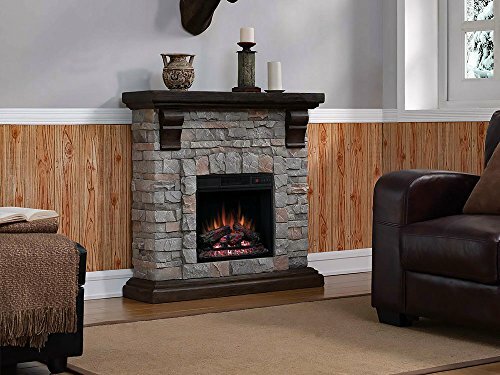 Add instant character to your living space with this rustic stone wall mantel with a ClassicFlame 18II332FGL 18 Inch infrared quartz electric fireplace. Its compact design allows for placement in all size spaces from the living room to the bedroom. Planked wood detail top and base bottom add to its charming design. The infrared quartz heat helps to maintain the natural humidity within the air, resulting in moist, comfortable heat without drying out the room's air. 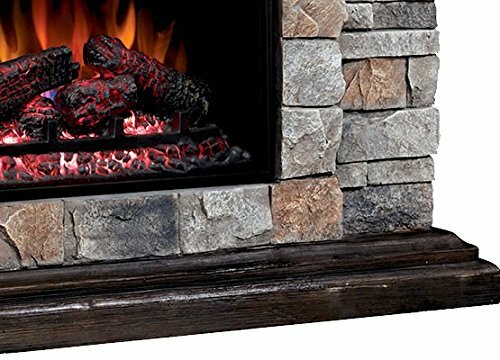 The electric fireplace insert provides supplemental zone heating for up to 1,000 square feet and features realistic flame effects that dance over a log set and ember bed. 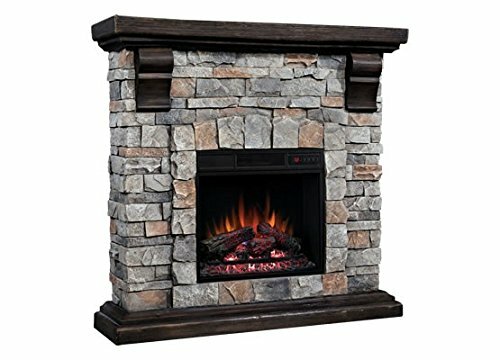 This fireplace features Spectrafire flame effect technology which provides the most realistic flames effects available. 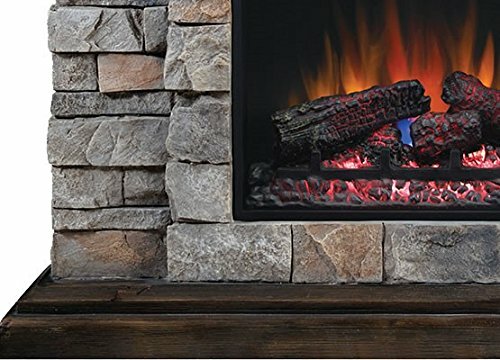 Spectrafire offers 3 blue and 3 amber flame effect brightness settings that can be set to get the look of modern gas fire or of a cozy wood burning fire. These flame effects can be used with or without heat for year-round ambiance. You can conveniently control these and the other functions from the comfort of your favorite chair with the included remote control. 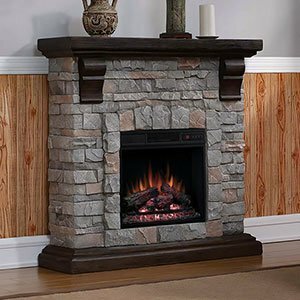 Essential safety features will put you at ease when using this electric fireplace. It plugs into any standard outlet and the screen-front stays cool to the touch for worry-free use around kids and pets. It's equipped with patent pending Safer Plug fire prevention technology which monitors the temperature of the plug and will turn off the insert if overheating is detected. It features convenient programmable automatic timed shut off and adjustable thermostat. 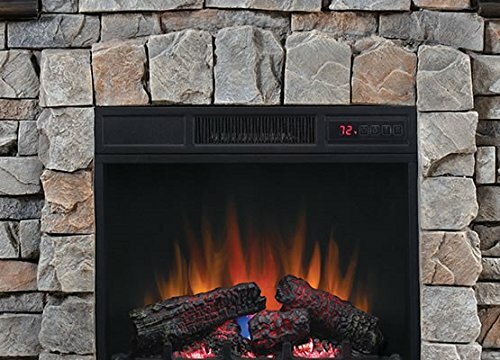 Allowing you complete command over a multitude of options while providing quality heat, this electric fireplace offers an unsurpassed experience.